1987. Heart surgeon Dr. Zbigniew Religa keeps watch on a monitor tracking the vital signs of a heart-transplant patient. One of Religa's colleagues who helped him perform two transplants in an all-night session rests in the corner. 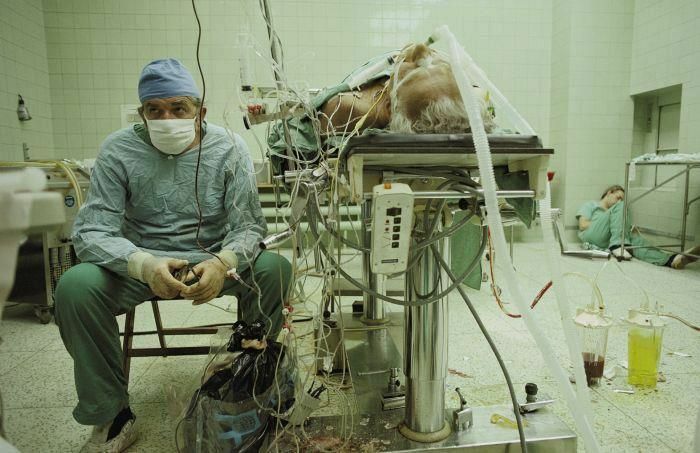 In 1987 James Stanfield's photo of Zbigniew Religa was proclaimed a photo of the year in National Geographic. 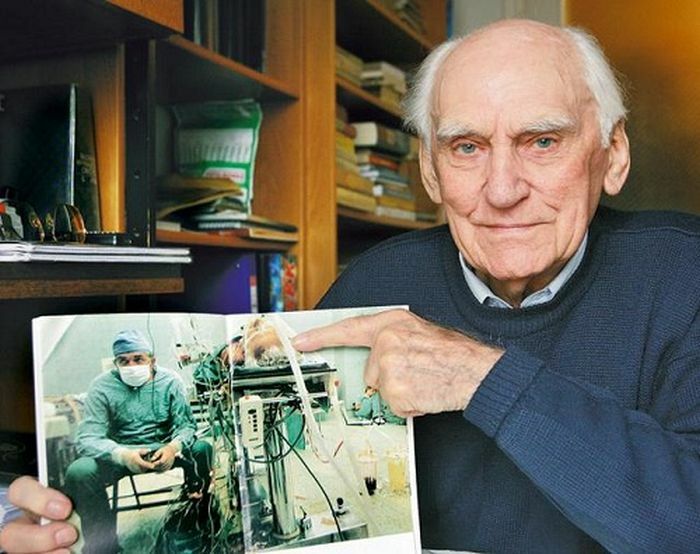 The best cardiovascular surgeon in the Poland ever. 25 years and still going, wow.